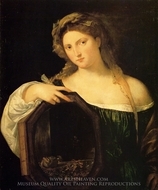 Titian - also known by his birth name Tiziano Vecelli -- was arguably the greatest painter of the Venetian School, which reigned in the Italian city-state of Venice during the 1500s. 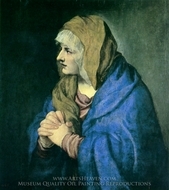 An exceptionally long-lived man for his time, Titian was nearly 90 when he passed away in his home city. 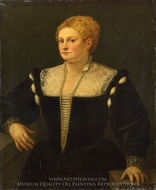 This means that paintings by Titian are exceptionally numerous compared to other famous masters. 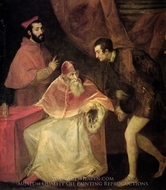 Likewise, Titian's paintings demonstrate stylistic shifts that are perhaps the most profound of any artist of his era. 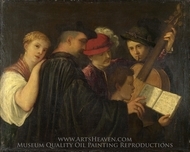 Many art connoisseurs are able to date Titian paintings instantly by their use of light and shadow. 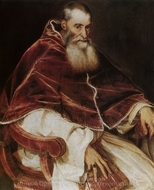 Titian lived in a time when the majority of art was still devoted to religious subjects, but portraiture was emerging as a respectable artistic form. 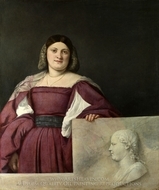 In fact, Titian famous paintings include his self-portrait and similar works. 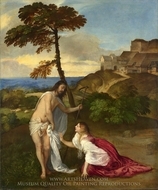 Like many Italians of his time, Titian was a profoundly religious man, and Titian paintings include adoring works depicting some of the great scenes from Christian scripture. These works often feature a compelling interplay of light and dark; Titian's paintings, although pious, confront figures like Jesus and his Apostles with the shadows of the world by which they are surrounded. 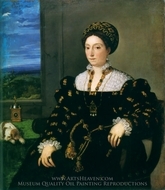 Paintings by Titian have distinct phases and sometimes seem to draw more heavily upon the humanist traditions of the Greeks and Romans than upon the Christian milieu in which the artist lived. 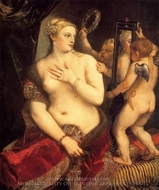 Many of Titian's paintings explore the subject of human beauty. For years, the artist demonstrated a dedication to defining a new aesthetic of beauty. For example, some Titian famous paintings depict figures like Salome as the epitome of female grace and charm, based upon local courtesans. 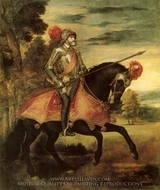 Other Titian paintings show care and attention to the faces and musculature of men, such as in the Allegory of Age. 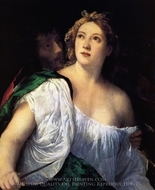 Titian was a remarkably versatile artist, and paintings by Titian attest to the ingenious sweep of his creativity. 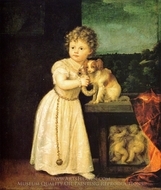 You can find Titian famous paintings to fit in any space or decor. 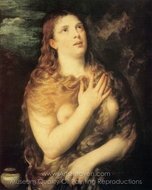 However, the profound gravitas of his spiritual statements and the inestimable care with which he rendered the human form makes a work by Titian best shown in dignified and sedate surroundings. Any place where they may command the visitor's full attention is recommended. It is all the better if you can surround the piece with subtle lighting that will not detract from the artist's intense work with chiaroscuro. 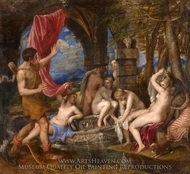 Titian painting reproductions by ArtsHeaven.com are of the finest quality. The care and detail that enlivened Titian's works must be recreated using only the most advanced methods. You will not find a better option than our museum quality replica for bringing this celebrated Venetian master into the sanctum of your very own home.